For all of us at Homes for Heroes®, there is nothing more rewarding than being able to assist our nation’s every day heroes in buying, selling or refinancing a home and providing them with a meaningful “thank you” when doing so. However, it is extremely rewarding to us when our own real estate professional affiliates are heroes themselves and want to give back to their own. For Eric Green, this is exaclty how it is. 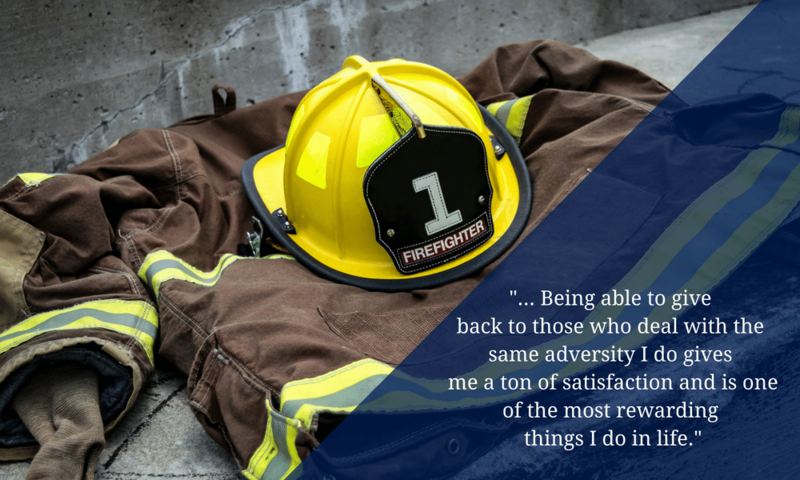 Being a veteran firefighter of 22 years and in the mortgage business for 19 years, Green thought it was only fitting that he give back to his own and others alike. We were lucky enough to chat with Green and hear his story. Originally from the Midwest, Green moved to the Pacific Northwest when he was eight-years-old. Growing up, sports were a huge part of his life and were what abled him to excel in high school and in college. Now, Green is married and has two teenagers whom he enjoys spending time with, along with attending church and helping out in their community. As mentioned before, Green is a veteran firefighter of 22 years and has been a part of the real estate industry as a mortgage officer for 19 years. “When I was nine months into my training, we went on a call for a young boy who had been struck by a bus and was killed instantly. He was 12-years-old, which was the exact same age as my youngest brother. It really hit me hard and was the first fatality I had seen on the job. The work schedule of a firefighter is very different compared to much of the nation’s workforce. Rather than working 9 am to 5 pm, firefighters work 24 hour shifts. This allows for time-off and time that can be occupied doing something else. Green took full advantaged of that. Being a hero himself, Green is able to relate to and understand our nation’s every day heroes in many ways much of the public can’t. Because of this, our way of saying “thank you” means so much more. “Sometimes what we (heroes) do is challenging and people don’t understand the toll it takes on us (heroes) in many ways. So being able to give back to those who deal with the same adversity I do gives me a ton of satisfaction and is one of the most rewarding things I do in life. Thank you for your feedback, Debbie. We appreciate it and we must say, we agree with you!